I think the funniest aspect of the content from Completely Serious Comics is how blatant the humor is. Though I love subtle artwork and profound messages that comics can embody, sometimes I also just appreciate an easy laugh. And that’s what happens every time a new Completely Serious Comic is made. 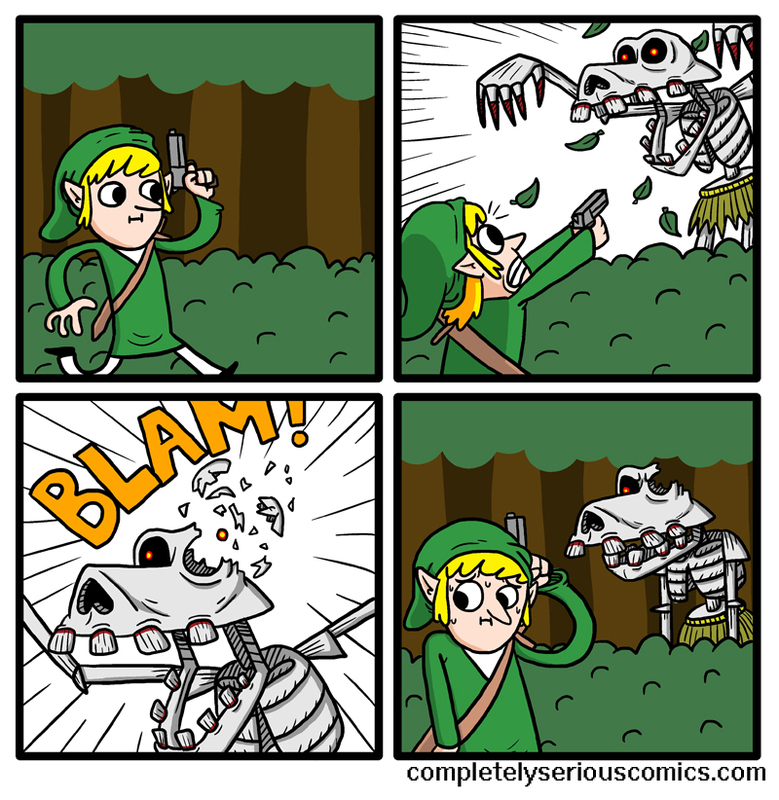 This past week, the author Jesse wrote two comics that combined both this simple humor with our favorite video game character. You should be able to tell from the title image that it’s Link. With a gun. And he doesn’t exactly look like the mature, intelligent Link that we see in most games. What else is he going to do besides go adventuring with his new weapon? Hit the jump to find out! 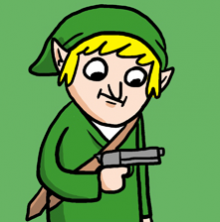 We’ve learned two things about guns in the Zelda world. 1) They’re awesome and will give you rupees just as well as a few sword slashes. 2) Don’t mess with stalchildren. Or at least keep your sword around because that’s still pretty effective. 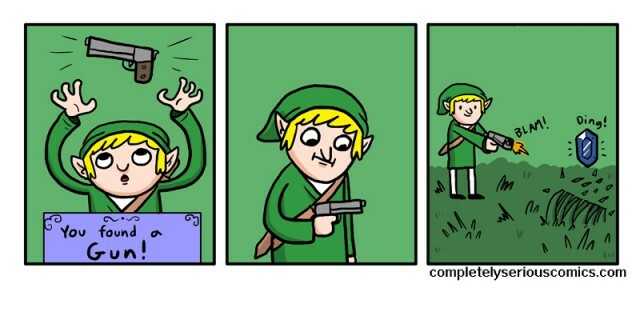 Either way, it seems like Link is having an interesting time learning about his new toy. My only hope is that Completely Serious Comics comes out with some more of these Gun Link comics and continues to follow Link’s adventures, or misadventures as they might be.